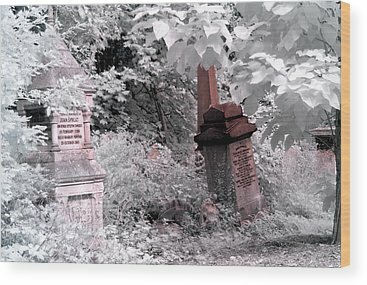 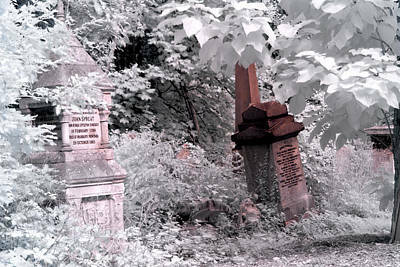 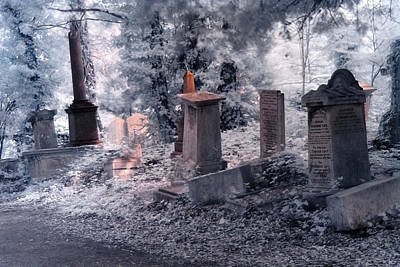 These photos were taken at Abney Park, one of the "Magnificent Seven" cemeteries in London, UK. 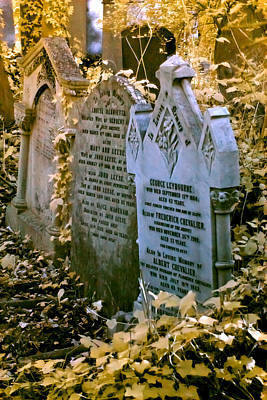 Many artists such as singers, actors, and musicians who were very popular in the music halls in Britain throughout the 19th and beginning of the 20th century are buried here. 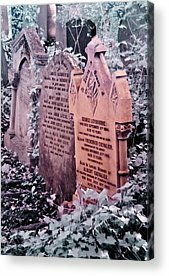 To remember these stars, the Music Hall Guild of Great Britain and America organises monthly walks to their resting places. The Music Hall Guild is a theatre charity, and one of his aims is also to restore their tombs. Every time I enter the cemetery I feel surrounded by peace and mystery that it almost feels surreal. 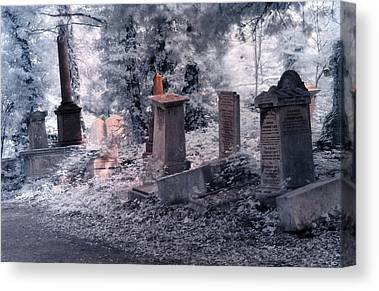 I think infrared photography can help reproduce these feelings and create an atmosphere where the line between reality and fantasy becomes less clear. 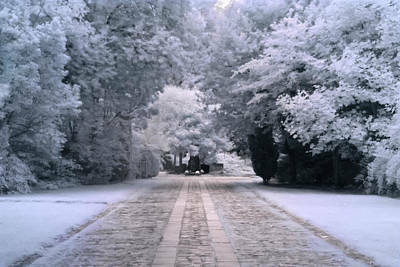 The images may present some noise which is a characteristic of long exposure infrared photography making the image more organic, while their softness gives a sense of ethereality.